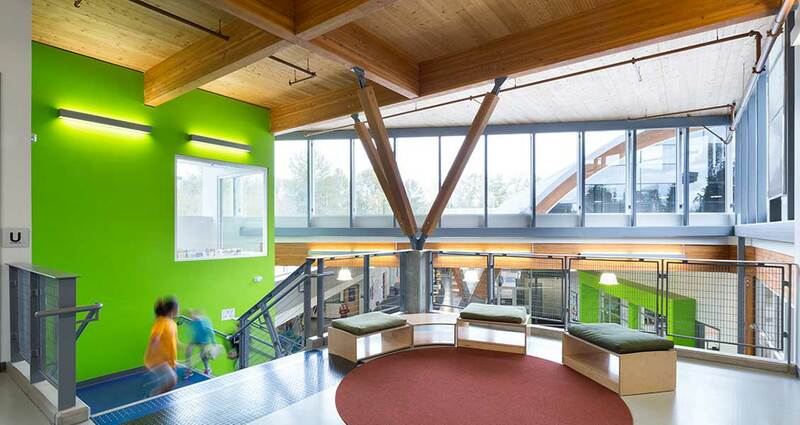 This school is one component of the University Hill family of four schools, envisaged as a continuum of learning from pre-kindergarten to post-secondary education, on the UBC campus. 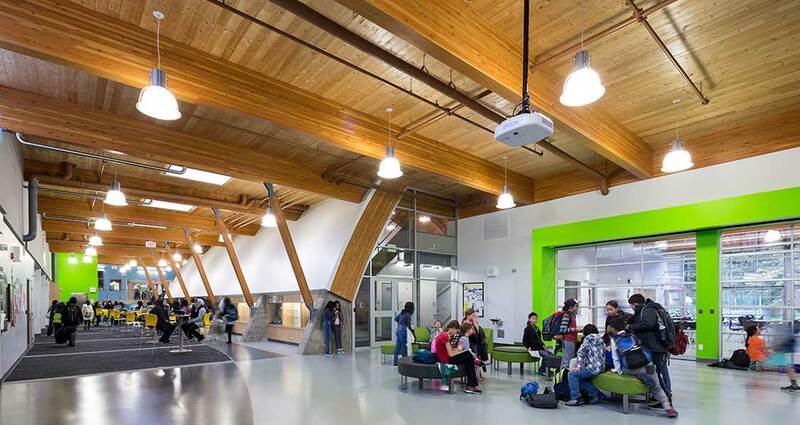 The Vancouver School Board wrote an educational prospectus for this group of schools to lead the way with 21st Century Learning objectives. 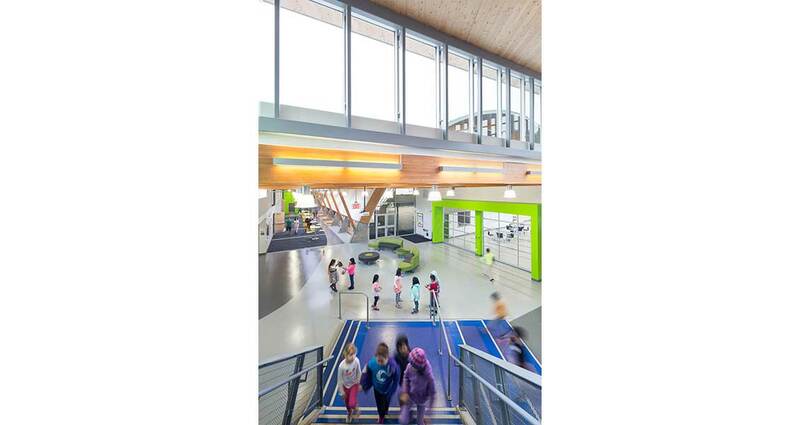 This 970 student facility provides two schools in one – a Pre-Kindergarten to Grade 5 Primary School, and a Grade 6 to 8 Middle School, complementing the existing 350 student capacity University Hill Elementary School and the new 800 student capacity University Hill Secondary School. A high level of collaboration was essential in to defining, developing and employing the 21st Century Learning principles outlined in the educational prospectus. 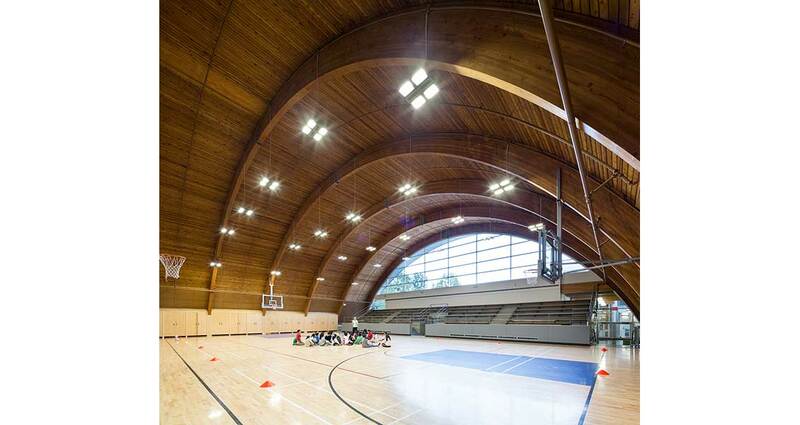 The integrated design process was also challenged to incorporate the needs of numerous and diverse stakeholders. 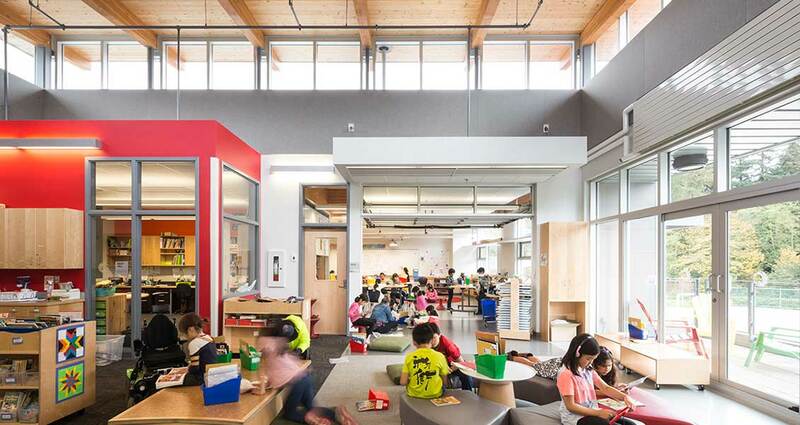 The new K-8 school gives physical form to the Vancouver School Board’s concept of 21st Century Learning, with the school organized into nine Learning Communities arrayed around shared “Learning Commons”. 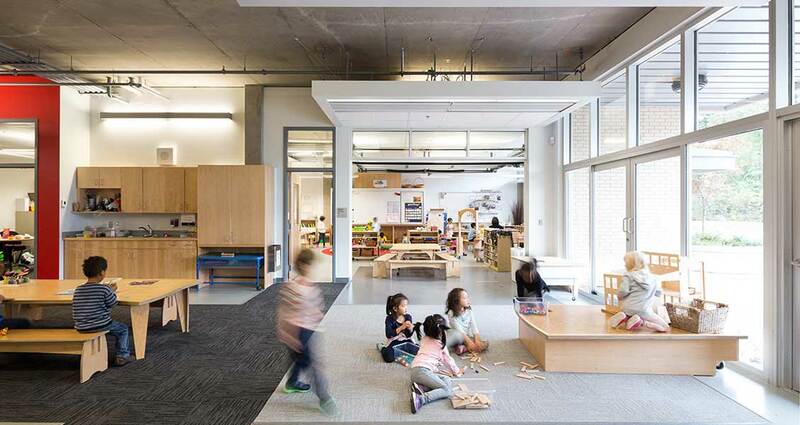 The learning communities will accommodate multi-grade groupings of students in spaces that encourage collaborative teaching and individualized project-based and experiential learning. 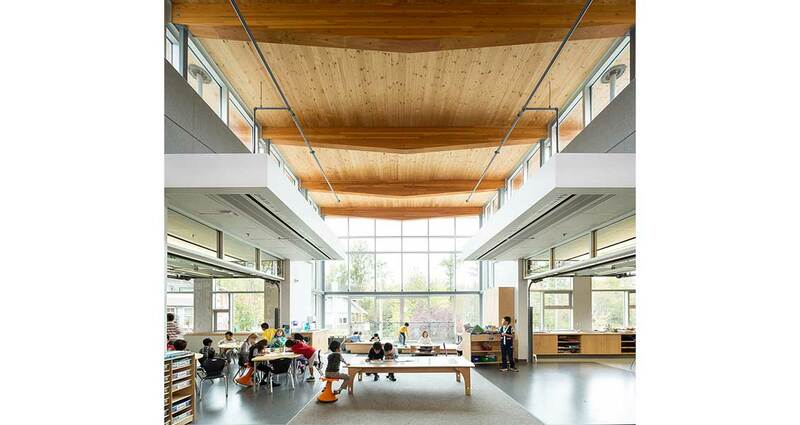 Teaching spaces are designed to extend outside through balconies and a terrace on the 2nd floor of the Middle School, enabling ecological study and experimentation. 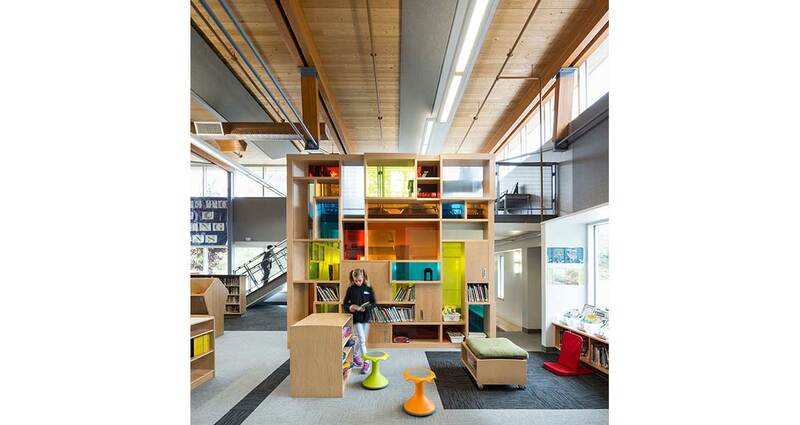 Common areas are enhanced by the Neighbourhood Learning Centre area to increase community use. and appropriate uses of the site. 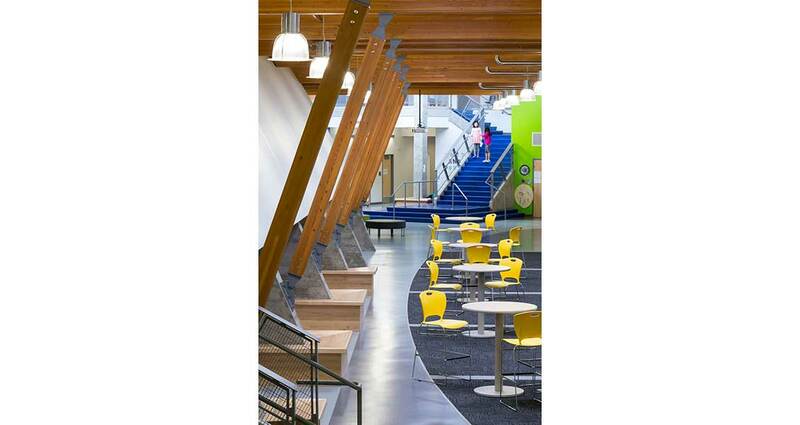 Norma Rose Point K-8 School has achieved LEED™ Silver Certification. Click here for a video that was created for the school in collaboration with Digital Cyclops and Fielding Nair International.